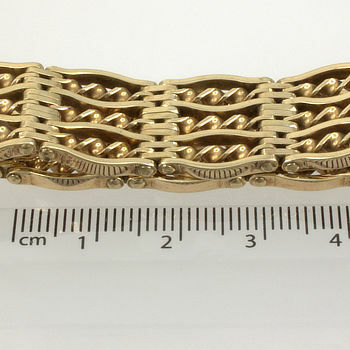 A stunning 9ct yellow gold gate bracelet. This is a substantial and beautiful bracelet. 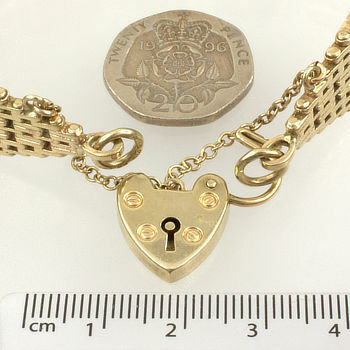 The detailed links catch the light and ensures this is a fantastic piece of jewellery to compliment any outfit.